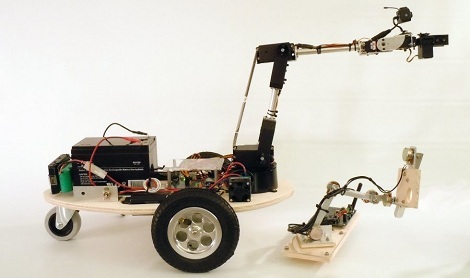 [Dave] posted some pictures and videos of his ‘Nuntius’ robot on the Propeller forums. From the pictures it’s an impressive build, but to really appreciate [Dave]’s skill, check out the Youtube demo. 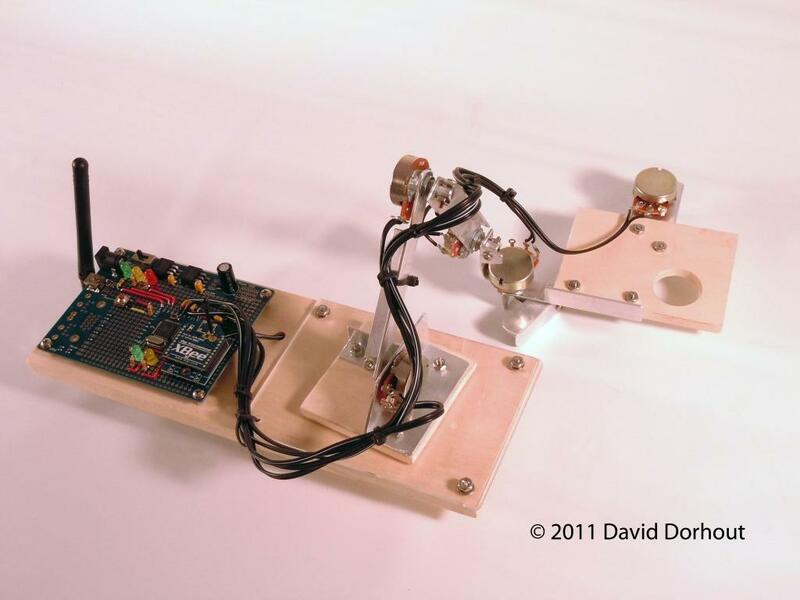 The controller is a Propeller protoboard with bits of angle aluminum fastened together. Pots are positioned at the joints of the remote’s arm so the robot’s arm can mirror the shape of the remote. We usually see Armatron bots controlled via computer, or in the rare case of human control, a mouse. [Dave]’s build just might be one of the first remote manipulator builds we’ve seen on Hack A Day. On the robot side of the equation, another Propeller board, motors, and servos are all powered by a 12 V motorcycle battery. Attached to the end of the manipulator is a cheap 2.4 Ghz wireless camera that [Dave] says makes you feel like you’re in the movie The Abyss. While we doubt this robot would be very good for underwater exploration, it does look like some of the Bomb Disposal robots we’ve seen. The response time seems slow. Pretty awesome project though. It reminds me of a dinosaur when it is out slowly panning around the yard. I love how he stuck a weed in the middle of his yard just so he could pull it out with this robot. Please, lets give the writer Heinlein his due – – he thought up the idea in the 40’s – the generic term for a remote manipulator is a ‘Waldo’ after the story he used the concept in.